Almost nobody wants to have to get a new commercial roof. They’d rather opt for the less expensive repairs and hope for the best. The fact is, though, that in many cases a new commercial roof is a much better investment than a perpetual series of repairs that put a Band-Aid on the problem rather than solving it. At Try-Lock Roofing, Inc, we’re happy to walk you through the process so that you make a good buying decision on a new commercial roof, or if repairs or coating will be sufficient to solve your roofing needs. 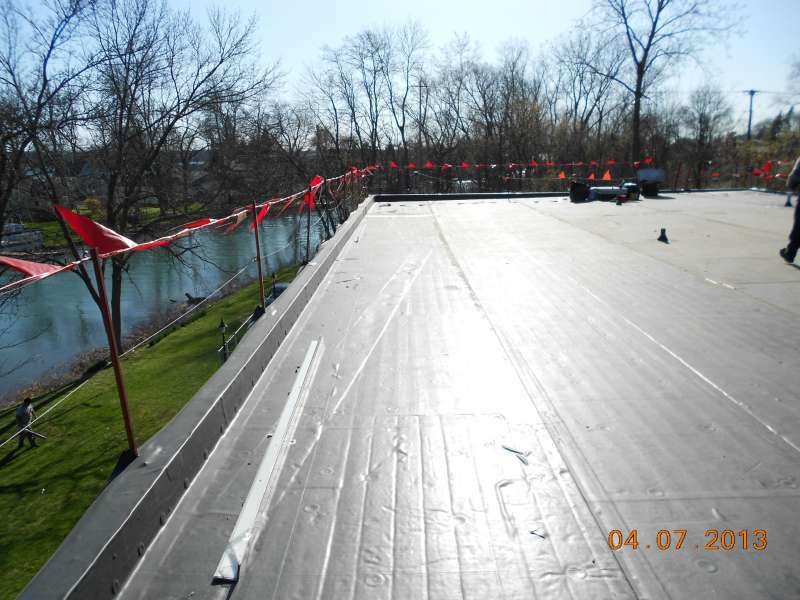 Over the past 90 years we’ve installed thousands of commercial flat roofs on local businesses in the Buffalo, NY area. A basic overview of factors that may affect your decision to repair or replace your roof. By far, age is the best indicator of a roof that needs to be replaced. 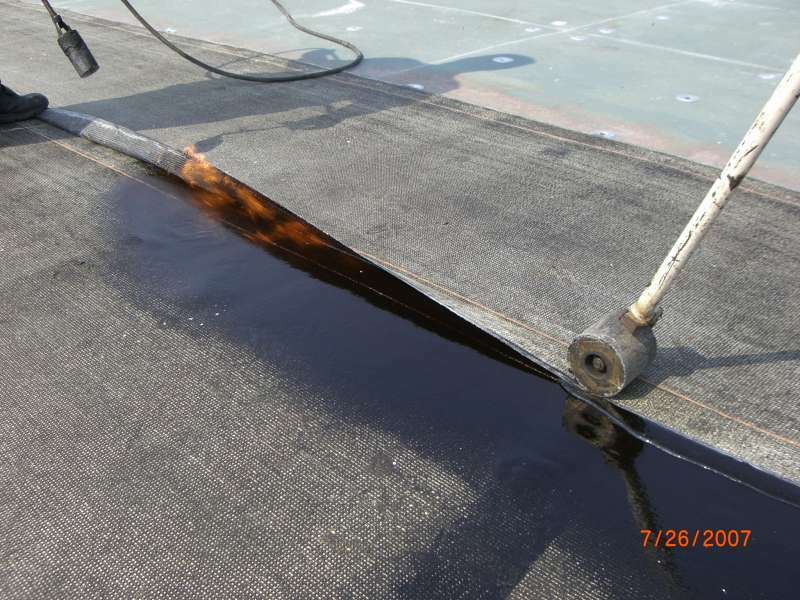 Commercial roofing systems generally do not last longer than most residential roofs. Generally, commercial EPDM rubber roofs can last anywhere from 25 to 35 years, depending on the thickness (.045, .060, .090 mm) of EPDM you choose and how serious you are about maintenance. Once they get to that age, though, repairs will only do so much and you should consider replacement. If your roof is leaking, then obviously, it’s not doing its job. Next time it rains, check for signs of leaking or dampness around penetrations, drains and interior walls. If there’s only an isolated leak, then you might be able to get away with a minor repair. But multiple leaks are a symptom of a larger problem. Your roof doesn’t just keep the elements out: it keeps heated or air- conditioned air in. If you’ve noticed that your heating or cooling costs have skyrocketed in the past few years and you can’t figure out why, it might be because your roof isn’t properly insulating your building. If you’re worried about your flat roof, take an afternoon to visually inspect it. Do you see damage to your flashing? Cracks, bubbles or blisters in the membrane? Ponding water that doesn’t effectively drain? All of these issues are signs of a roof that needs to be replaced. At Try-Lock Roofing Inc. we can provide you thorough roof inspection of your commercial roof that can help prevent further damage to your roof and building. Call today for your roof inspection! Roof re-cover means adding another membrane on top of your existing roof membrane in order to address damage without a full replacement. It’s a good alternative, if your existing roof insulation is not wet and you have one roof layer. NYS code allows two layers maximum. The process of roof coating entails applying a thin liquid membrane to your roof to proactively add more protection from the elements. It works best when the roof itself is in fine structural condition with no insulation issues. 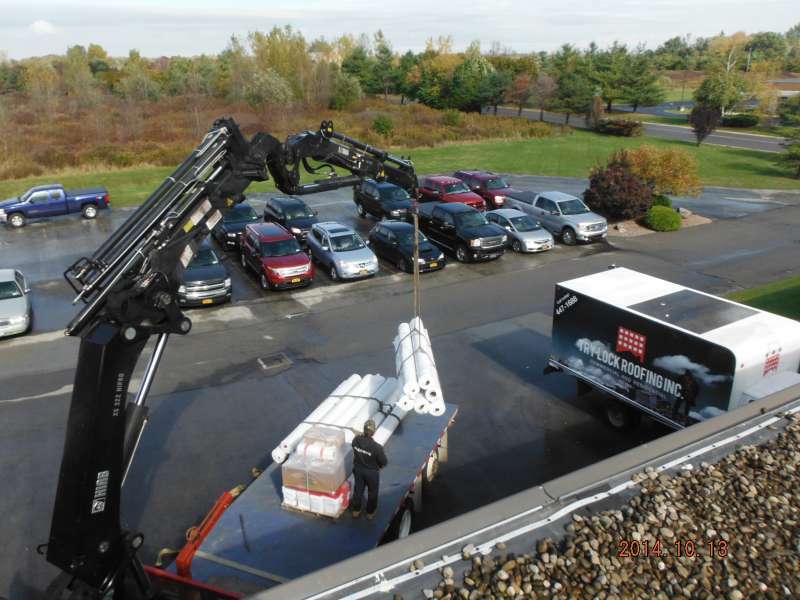 We invite you to call Try-Lock Roofing Inc. at (716) 447-1688 to discuss your needs and let us show you why we are one best and most recognized commercial roofing contractors in Western New York.